The Evening Desert Safari with Quad Bike is a must for every person. Who visits Dubai and other cities of the UAE. 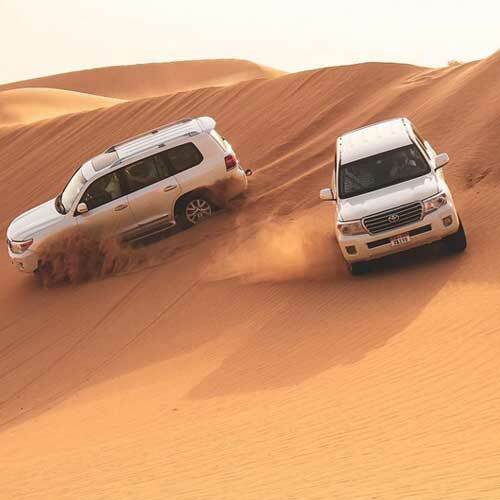 Desert Safari Dubai with Quad Bike is a once in a lifetime experience shared with family and friends back home. The evening desert safari Dubai with Quad Bike is worth every penny spent on the expedition. Beautiful landscapes, whistling winds, silent valleys, sand dunes, and muscle terrain SUV s make for a great outing in the romantic solitude of nature. The drive continues across the desert and stops at the sunset point to experience the scarlet skies with the lilac sun going down behind the sand dunes. The campsite is a bit further where the tourists get an opportunity to go for a camel ride. It gives a rare opportunity for the tourists to experience a whole new sport in a new background. Evening desert safari with Quad Bike is among some of those tours that have state-of-the-art desert adventure sports infrastructure with proper safety and emergency arrangements. Once at the camp, you can enjoy henna designs on hand and feet which is known to give a soothing sensation. It also is known to reduce tiredness. 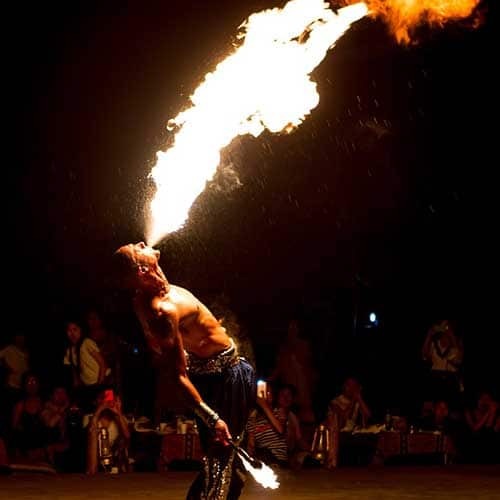 There is a special arrangement of outdoor barbecue with some exquisite and delicious delicacies of the Arabian region. Hubble Bubble, a famous water pipe of the Arabian world can be tasted. 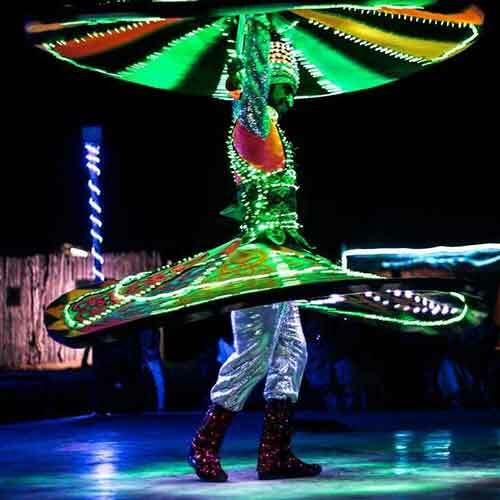 One of the most exciting features of the evening desert safari Dubai is watching the belly dancers performing under the starlight around the campfire. Hubble Bubble, Dune Bashing along the desert on Al-Awir Road, etc. An assortment of soft drinks, premium alcoholic drinks, fresh dates, Arabic Coffee is available for the tourists. Traditional costumes and dresses allow the tourists to check out the local costumes. 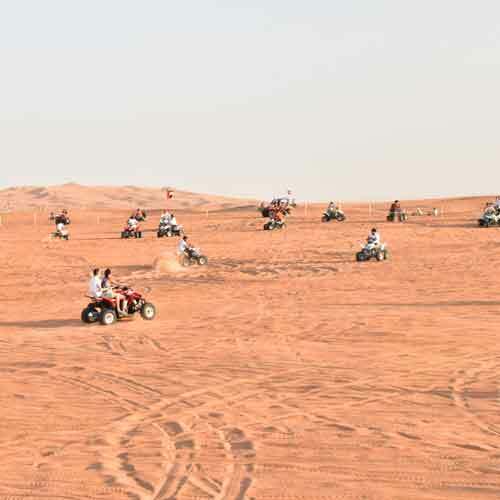 Quad Bike and Sand Skiing allows the tourists to try out “some” of the adventure sports only available in the specific region. 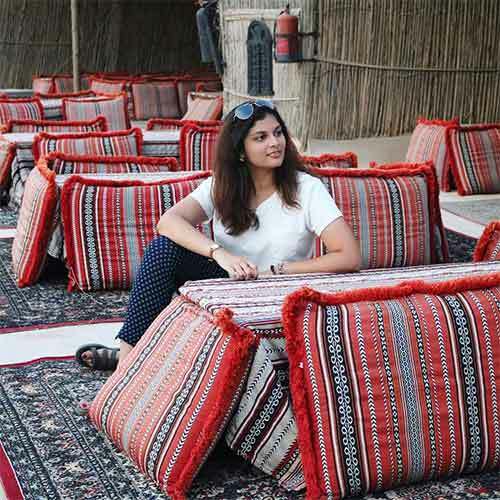 An Arabic buffet dinner and Barbecue gives the tourists an opportunity to taste some of the best and freshly cooked local dishes. The cavalcade departs at half past nine from the campsite after the adventurous tour to the deep deserts. There is no restriction on the number of people joining the safari as it can be an unlimited person. The safari is, however, not recommended for children below three years of age and pregnant women. 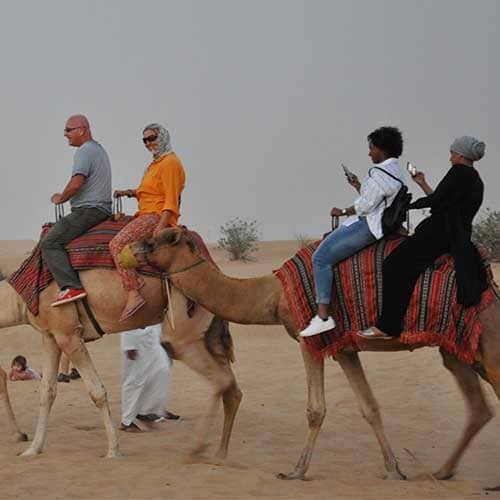 Camel trek is the most fascinating activity of the safari because the camel takes you to the top of the highest sand dune to enjoy the stupefying sunset deep in the desert. Quad Biking is the best way to experience what it is like living in the deserts and get to know the culture and cuisines. The desert vegetation and fauna also fascinates the travelers as it is very different from the normal vegetation. The hospitality during the safari is worth commendable and makes the tourists come again and again and “return” back fully satisfied.